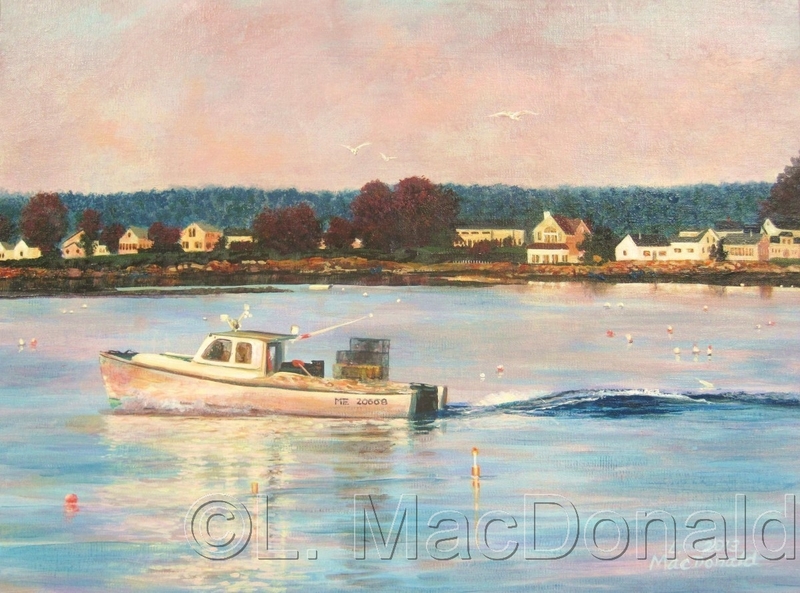 Acrylic (2013) We spent 2 weeks on beautiful Bailey Island, Maine a couple years ago and we enjoyed watching the lobstermen passing by our cottage each morning and evening. This early morning scene was typical. 5" x 6.75"7" x 9.5"9" x 12.25"11" x 14.75"13" x 17.5"15.5" x 21"